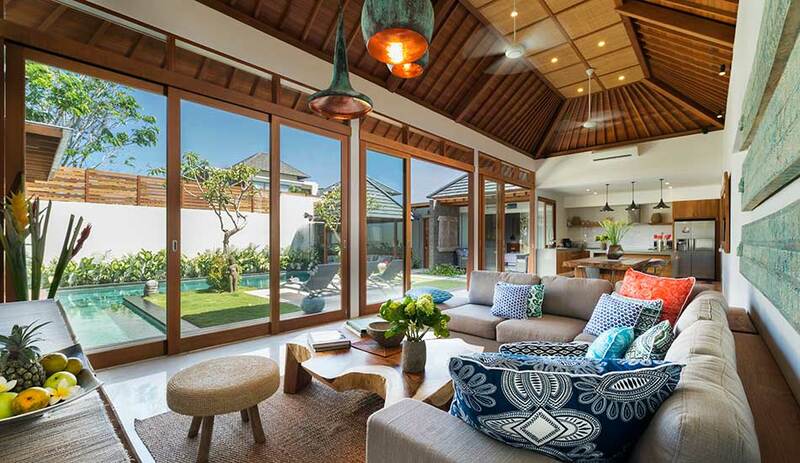 Villa Sanook is a brand new luxury villa, superbly situated on the tranquil and highly desirable Jalan Drupadi in the up-market neighbourhood of Seminyak. It is just a short stroll from the beach and a multitude of fine restaurants, spas and bars. The villa is the ultimate location for those wanting to be close to the action but also seeking a place to relax. 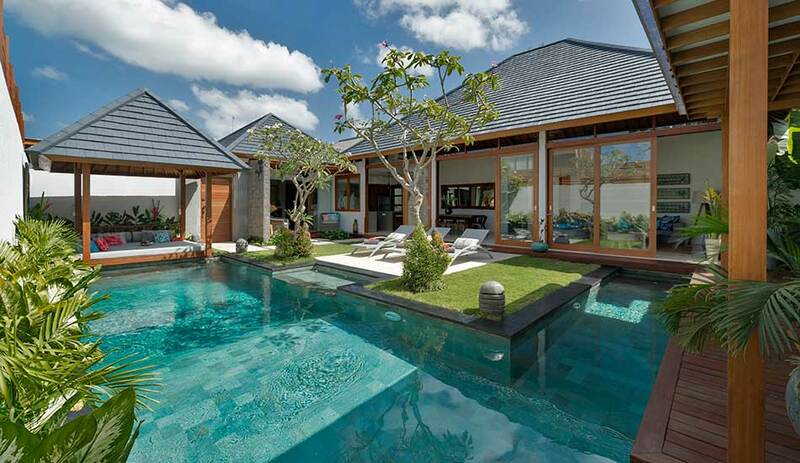 The villa design is unmistakably contemporary but perfectly complemented by traditional elements. Decorated in neutral tones, with bright splashes of color, the villa is your soothing oasis after a day or night exploring everything this highly sought after suburb has to offer. 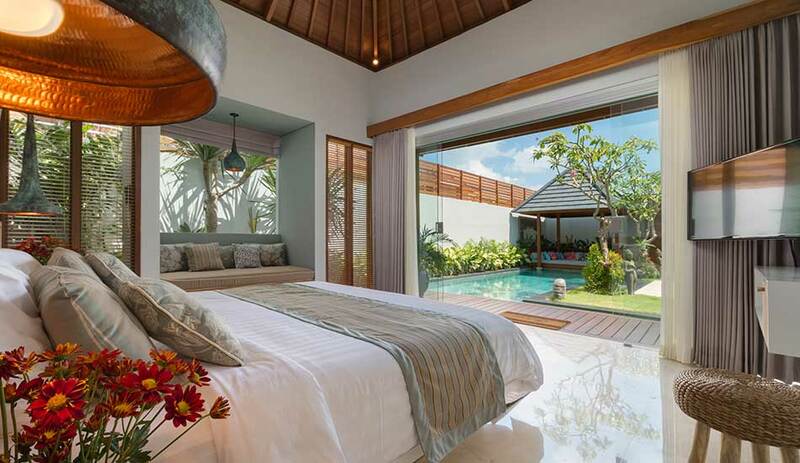 The villa comprises 4 air-conditioned bedrooms, all of which are large, master-style bedrooms with en-suites, tropical gardens, high ceilings, large picture windows, and great comfortable king size beds. The main kitchen/living area is characterized by soaring traditional style ceilings, cool marble floors and a comfortable sofa. It also features a rustic timber dining table with seating for 10 and large floor-to-ceiling glass sliding doors that can be open or closed for security. 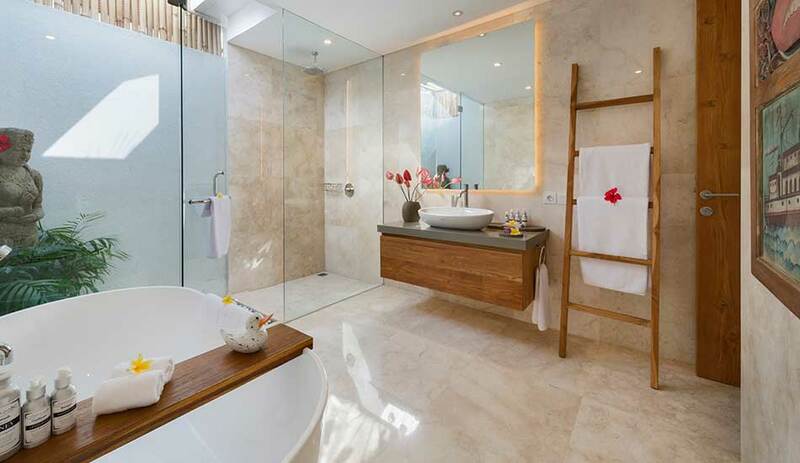 One of Villa Sanook’s unique features is the state of the art, fully automated water filtration system (‘Reverse Osmosis’) which supplies safe, clean drinking water and ice. 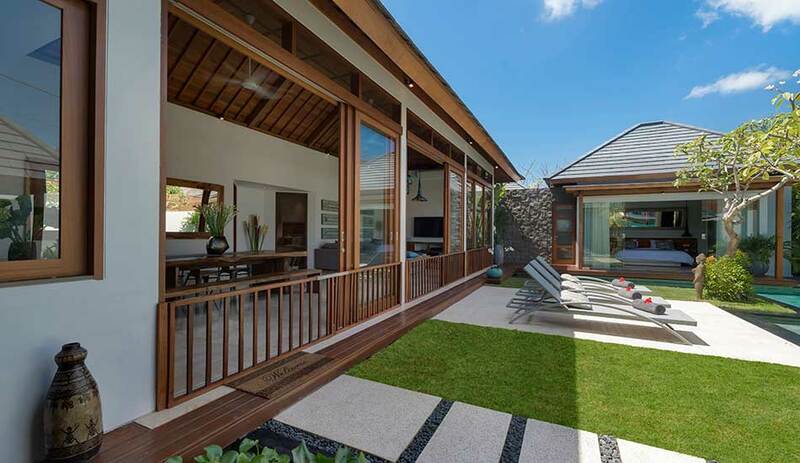 The villa is built around a sparkling swimming pool with accompanying sun deck, manicured tropical gardens, timber decking, lotus fish pond, Bali bale (gazebo) with comfortable mattress and cushions to laze the day away. To complement the villa, guests are treated to five star services from villa manager, the villa manager and friendly staff who will do their utmost to assist your every need to make your stay memorable.